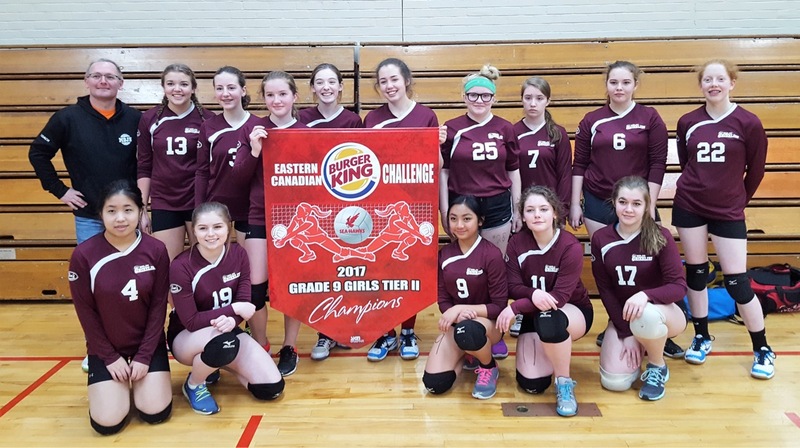 On January 27-28, 2017, the Grade 9 Girls (Way) Volleyball Team became Tier 2 champions of The Burger King Eastern Canadian Challenge. The tournament was hosted by the Sea-Hawks volleyball teams of Memorial University. The team finished with an impressive record by winning 4 matches and losing only 2. Congratulations to the team members and coach!